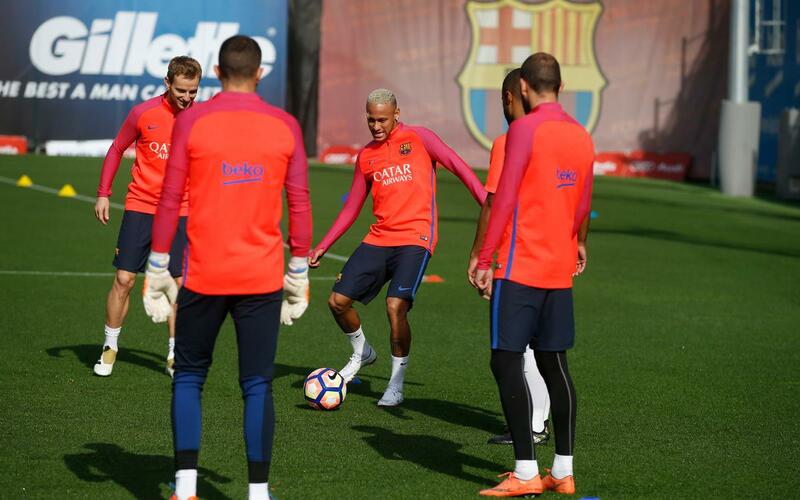 On a chilly Tuesday morning at the Ciutat Esportiva, the first team continued their preparations for the return of club football after the international break, which for Barça means a home fixture against Deportivo on Saturday. The big story was the return of Neymar Jr, who is suspended for Brazil’s game in Venezuela today and has therefore reported back for duty earlier than originally expected. But Luis Enrique is still missing several members of his squad and opted to boost the numbers for today’s workout by drafting in José Suárez, Nili, Carbonell and Sarsanedas of the B team. There is another session scheduled for the same place and time (11.00am CET) on Wednesday morning, for which the full and U21 Spanish internationals will be back at work.